« Your Village Shop and the Star Inn have joined forces! As previously reported on this website, a public inquiry into South Northants Council’s refusal of planning permission for five 125 metre high wind turbines between the villages of Sulgrave, Helmdon and Greatworth, will be held at the Council’s offices in Towcester, commencing on Tuesday May 15th. See here for further details of this proposal. The main parties at the Inquiry will be South Northants Council, whose expert witnesses will be defending the decision to refuse planning permission and Broadview Energy Limited whose expert witnesses will be attempting to demonstrate that permission should have been granted. A number of “third parties” from the local communities have also requested permission to be heard. The Inspector, Elizabeth Fieldhouse, will hear the evidence and issue her decision as to whether the appeal should be allowed or dismissed on or about July 13th. At 10.00 am on Tuesday May 15th, the inquiry will open with an address by the Inspector as to the planned programme of appearances, the procedures to be followed and so on. This will be an opportunity for those who wish to appear at the inquiry but are not currently on the schedule of third party appearances (see later)’ to make themselves known. Later that morning, the Council’s barrister, Asitha Ranatunga, will introduce Kate Ahern, the Council’s consultant landscape architect, who will set out her opinion that the proposed turbines would have significant adverse impacts on 1) local landscape character and quality and 2) visual amenity, notably residential amenity and the amenity of the many users of the local rights of way network. A copy of her Proof of Evidence can be seen here. In the afternoon, she will be cross examined by the barrister for Broadview Energy, David Hardy and then re-examined by Asitha Ranatunga. Wednesday May 16th will be given over to the evidence of Broadview’s landscape architect, Jeffrey Stevenson, who will explain that although “highly localised significant effects would arise” he does not consider that such effects would be unacceptable. A copy of his Proof of Evidence can be seen here. He will be cross-examined by the Council’s barrister and re-examined by Broadview’s barrister in the usual way. The evening of Wednesday May 16th has been set aside for the appearance of “third parties” and a preliminary schedule for these appearances can be seen at the foot of this page. Thursday May 17th and Friday May 18th will be taken up with “cultural heritage” matters. Firstly the Council’s Conservation Officer, Naomi Archer, will set out the Council’s case that the impact of the proposed wind turbines upon local heritage assets such as Churches, Ancient Monuments, Listed Buildings and Conservation Areas would be unacceptable. Her Proof of Evidence can be seen here. This view will be contested by Andrew Brown, Architect and Planner, for Broadview Energy, whose Proof of Evidence can be seen here. After the weekend break, Monday 21st May will be given over to site visits by the Inspector in the presence of representatives of the main parties, between 09.00 and 17.00. During this period, the Helmdon Stuchbury and Greatworth Action Group will be flying blimps at turbine height from two locations close to the most easterly and westerly turbine positions. The Action Group sought permission from the local landowners to fly the blimps from the actual turbine locations but this was refused. During the Inspector’s site visits, no discussions are permitted, it merely being an opportunity for witnesses to point out various features in the landscape to which they refer in their evidence. On Tuesday 22nd May, Richard Hall of Northamptonshire County Council (the local highway authority) will give evidence that the impact of the proposal upon the byways, bridleways and footpaths crossing the site would be unacceptable. His Proof of Evidence can be seen here. (Connection to this proof will be made when available). He will be followed by South Northants Council’s planning witness, Daniel Callis, dealing with the various planning policy issues which led the Council to refuse the application and his Proof of Evidence can be seen here. On Wednesday 23rd May, Daniel Callis will complete his evidence and he will be followed by Broadview Energy’s planning witness, David Bell, who will explain why he considers that the relevant planning policy requirements have been met by the proposal. His Proof of Evidence can be seen here. (Connection to this proof will be made when available). On Thursday 24th David Bell will complete his evidence and then there will be a one and a half hour “conditions session”. This is an opportunity for the Council’s planning witness to set out any conditions which the Council would wish to see imposed should the Inspector be minded to allow the appeal. They might, for instance, seek to ensure that the turbines do not operate under certain specified situations or that maintenance work should only be undertaken at certain times. In doing so the Council does not, in any way, concede its position that the refusal of planning permission was justified in terms of the relevant planning policies. 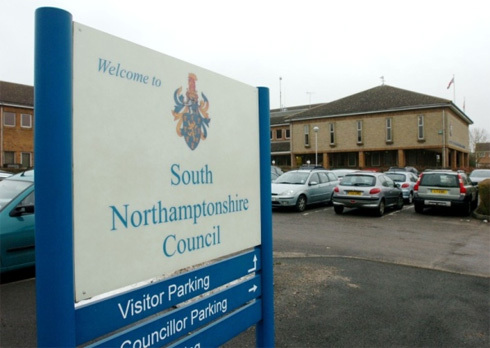 On Friday 25th May, the barristers for South Northants Council and Broadview Energy Limited, will make their final submissions to the Inspector, who will then close the Inquiry. There are numerous appendices to the proofs of evidence of the expert witnesses and these can be seen on the South Northants Council website. A pdf file of the detailed programme of appearances can be seen here. This is provisional and may change during the course of the inquiry. An up to date version will be posted on this website as necessary. There may be changes to this schedule and details will be posted on this website as they become available. This entry was posted on Saturday, May 12th, 2012 at 8:25 am	and is filed under News. You can follow any responses to this entry through the RSS 2.0 feed. You can leave a response, or trackback from your own site.